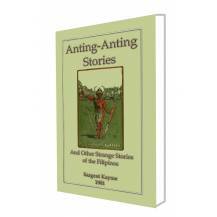 The Anting-Anting is both talisman and fetich: it is the Filipino version of good medicine. 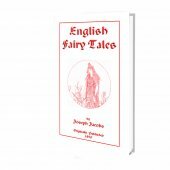 The characters and situations in these eleven stories are from an earlier, less progressive era. These stories contain adventure, mystical elements, pirates, pearls, man-apes, towering volcanoes, strange animals and birds, and even stranger men, pythons, bejuco ropes stained with human blood, feathering palm trees at one moment fanned by soft tropical breezes and the next uprooted and hurled aside by tornadoes. Mr. Kayme tells the eleven stories, and tells them cleverly, from the point of a non-Filipino looking in on Filipino life and makes no attempt to imitate Kipling. 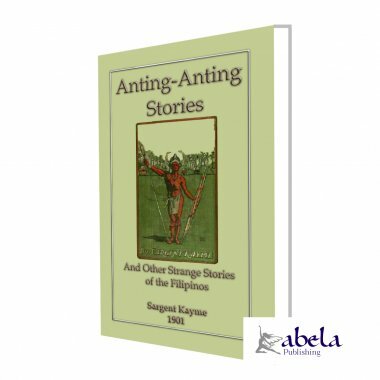 Kayme's "Anting-Anting" stories give the native Filipino of unmixed blood a place in western fiction. 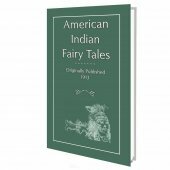 In the late 19th C. he was favourably compared to the North American Indian of the same era. But that was over 100 years ago and perceptions and attitudes have changed a lot since 1901. 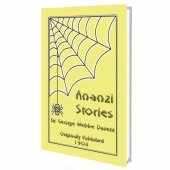 So pickup this interesting volume, settle into a comfy chair and enter into the colourful world of Filipino life, folk beliefs and superstitions of a hundred years ago. And if you should ever visit the Philippines, don't be surprised to find that these superstitions are as prevalent today as they were a century ago. Speaking of anting-anting, said a man at the club House on the bank of the Pasig river, in Manila, one evening, I have had an experience in that line myself which was rather striking. An American officer at the club that evening had just been telling us about a native prisoner captured by his command sometime before in one of the smaller islands, who, when searched, had been found to be wearing next his skin a sort of undershirt on which was roughly painted a crude map of certain of the islands of the archipelago. This shirt, it seemed, the officer went on to explain, the man regarded as a powerful anting-anting, which would be able to protect him from injury in any of the islands represented on it. That he had been taken alive, instead of having been killed in the fight in which he was captured, the man firmly believed to be due to the fact that he was wearing the shirt at the time. A native servant in the employ of one of the officers of the company had explained later that such an anting-anting as this was highly prized, and that it increased in value with its age. Only certain wise men had the right to add a new island to the number of those painted on the garment, and before this could be done the wearer of the shirt must have performed some great deed of valour in that particular island. The magic garment was worn only in time of war, or when danger was known to threaten, and was bequeathed from father to son, or, sometimes, changed ownership in a less peaceful way. What was the experience which you have referred to? I finally asked the man who had spoken, when he did not seem inclined to go on of his own accord. The man hesitated a moment before he replied to my question, and something in his manner then, or perhaps when he did speak, made me feel as if he was sorry that he had spoken at all. It is a story I do not like to tell, he said, and then added hastily a little later, as if in explanation, I mean I do not like to tell it because I cannot help feeling, when I do tell it, that people do not believe me to be telling the truth. Some years ago, he continued, I went down to the island of Mindoro to hunt timarau, one of the few large wild animals of the islandsa queer beast, half way between a wild hog and a buffalo. I hired as a guide and tracker, a wiry old Mangyan native who seemed to have an instinct for finding a timarau trail and following it where my less skillful eyes could see nothing but undisturbed forest, and who also seemed to have absolutely no fear, a thing which was even more remarkable than his skill, since the natives as a general thing are notably timid about getting in the way of an angry timarau. As a matter of fact I did not blame them so very much for this, after I had had one experience myself in trying to dodge the wild charge of one of these animals infuriated by a bullet which I had sent into his body. Perico, though,that was the old mans name,never seemed to have the least fear. I was surprised, then, one morning when the weather and forest were both in prime condition for a Hunt, to have my guide flatly refuse to leave our camp. Nothing which I could say or do had the least influence upon him. I reasoned, and threatened, and coaxed, and swore, but all to no effect. When I asked him why he would not go,what was the matter,was he ill? he did not seem to be inclined to answer at first, except to say that he was not ill; but finally, later in the day, he explained to me that he had had a warning that it would not be safe for him to go hunting that day; that his life would be in danger if he did go. Perico had been about the islands much more than most of the men of his tribe. He had even been to Manila once or twice, and so not only knew much more about the world than most Mangyans did, but had also picked up enough of the Spanish language so that he could speak it fairly well. In this way he was able to tell me, finally, how the warning had come to him, and why he put so much confidence in it. He also told me this was why he had been so brave about the hunting before. He knew that he was not in any danger so long as he was not forewarned. When he had been warned he avoided the danger by staying quietly in camp, or in some place of safety. Even after he had told me as much as this, Perico would not explain to me just how the warning had come, until, at last, he said that the stone had told him. This stone, he said, was a wonderful anting-anting which had been in his family for many years. His father had given it to him, and his grandfather had given it to his father. Once, many, many years before, there had been an ancestor of his who had been famous through all the tribe for his goodness and wisdom. This man, when very old, had one day taken shelter under a tree from a furious storm. While he was there fire from the sky had come down upon the tree, and when the storm was over the man was found dead. Grasped tightly in one of the dead mans hands was found a small flat stone, smooth cut and polished, which no one of his family had ever seen him have before. Naturally the stone was looked upon as a precious anting-anting, sent down from the sky, and was religiously watched until its mysterious properties were understood, and it was learned that it had the power to forewarn its owner against impending evil. When danger threatened its owner, Perico said, the stone glowed at night with a strange light which he believed was due to its celestial origin. At all other times it was a plain dull stone. The night before, for the first time in months, the stone had flashed forth its strange light; and as a result its owner would do nothing which would place him in any danger which he could avoid. I thought of all the strange stories I had read and heard of meteors falling from the sky, and of phosphoric rocks, and of little known chemical elements which were mysteriously sensitive to certain atmospheric conditions, and wondered if Pericos stone could be any of these. All my requests to be allowed to see the wonderful stone, however, proved fruitless, Perico was obdurate. There was a tradition that it must not be looked at by daylight, he said, and that the eyes of no one but its owner should gaze upon it. And so, for eight beautiful days of magnificent hunting weather, that aggravating heathen stone kept us idle there in the midst of the Mindoro forest. I could not go alone, and Perico simply would not go so long as the stone glowed at night, as, he informed me each morning, it had done. It was in vain that I fretted, and offered him twice, and four times, and, finallywith a desire to see how much in earnest the man really wasten times his regular wages if he would go with me for just one hunt. He simply would not stir out of the camp, until, on the morning of the ninth day, he met me with a cheerful face, and said, Señor, we will hunt today. The stone is black once more. ..
... The boat for Hong Kong on which I had taken passage was to sail the next night. I finished my work, said good bye to my acquaintances, and went on board. Fifteen minutes before the steamer sailed I had my luggage tumbled from her deck back on to the wharf, and came ashore, swearing at myself for a fool, and knowing that I would be well laughed at and quizzed for my fickleness by everyone who knew me. I remember. That was the , calling the name of a steamer which brought to us all the recollection of one of the most awful sea tragedies of those terrible tropic waters, where sometimes sea and wind seem to be in league to buffet and destroy. Yes, said the man who had told the story. No person who sailed on board of her that night was ever seen again; and only bits of wreckage on one of the northern reefs gave any hint of her fate.